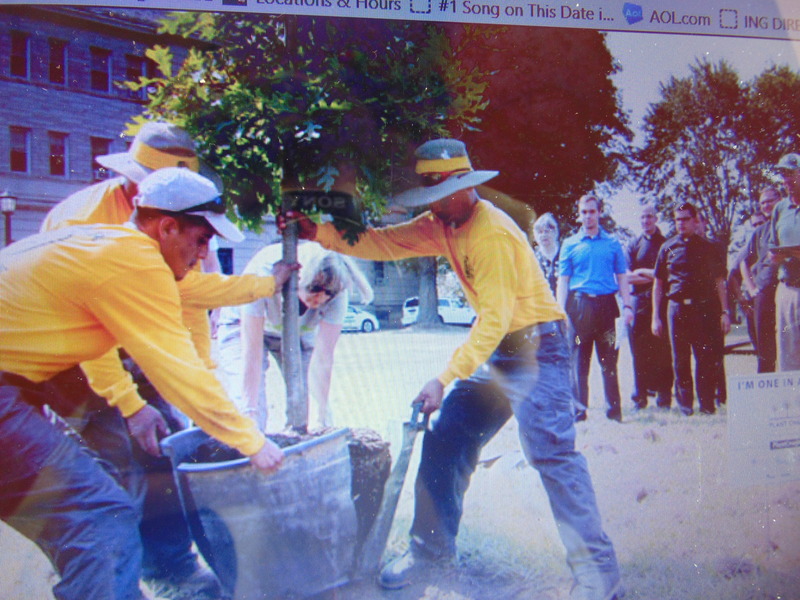 A White Oak Tree planted at St. Charles Seminary in honor of Pope Francis. Philadelphia – The Archdioceses of Philadelphia, Archbishop Charles Chaput joined the Pennsylvania Horticultural Society (PHS), Tuesday, in planting the 500,000th tree at St. Charles Seminary, part and parcel of PHS’s goal of planting one million trees. Just four weeks ahead of the much anticipated arrival of Pope Francis to Philadelphia for the World Meeting of Families, Sept. 26 -27, the White Oak tree was also blessed in tribute to the Church’s “World Day of Prayer for the Care of Creation.” The day is an acknowledgment by this first Latin American Pope of the Church’s commitment to an embattled ecosystem. 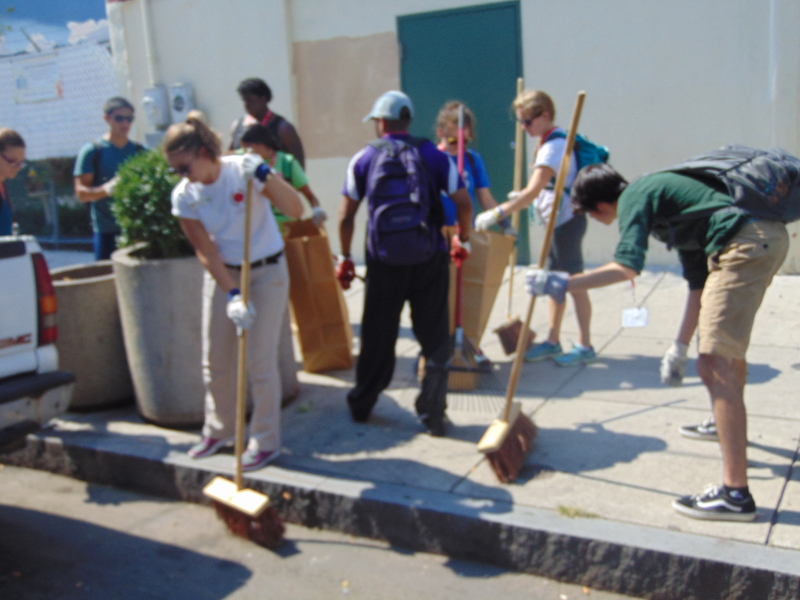 Students work with Philly Rising to clean up city steets. While Pope Francis is often deemed a revolutionary figure, his encyclical repeatedly cites his papal predecessors, from Pope Leo XIII to Pope Paul VI and Pope Benedict XVI.